For millennia, hemp has been used for its fibre, seeds and medicinal properties. Currently, hemp stalks are utilized in textiles, cordage, paper, and building materials, while its seeds are used for food, culinary oil, cosmetics, plastics and fuel. The Canadian government legalized industrial hemp production for these purposes in 1998. Then in 2018, Health Canada expanded the scope to permit hemp flower buds, leaves and branches to be harvested then sold to a Cannabis Licensed Producer to arrange for extraction of the hemp’s medicinal cannabinoids. There is considerable evidence that cannabidiol (CBD) extracts enhance our body’s natural cannabidiols for healing such diverse ailments as: chronic pain, anxiety, epilepsy, Alzheimer’s, arthritis, diabetes, etc. (For more verified benefits, please see McGill University’s Canadian Consortium for the Investigation of Cannabinoids at www.ccic.net) Now that Cannabis is becoming legal in many parts of the world, medical institutions and universities are commencing research to corroborate this evidence. Meanwhile, medical practitioners and the public are beginning to feel more confident about prescribing and using these relatively safe and natural products. Forbes has forecast the fledgling CBD industry to reach $14-billion by 2020. CBD healing oils can be provided by Cannabis grown in artificially lit warehouses for about $4/gm or in greenhouses for about $2/gm. In outdoor fields, with no need for expensive structures, energy intensive HVAC, and sophisticated security systems, low THC hemp can produce these beneficial oils for about $.25/gm! Cultivars are bred and grown for a single characteristic of the crop. Hemp fibre plants are grown close together to force fibrous stems to grow tall, while hemp grain plants are grown less densely to allow space for seed-heads to form – similar to corn. Medicinal hemp, on the other hand, is grown much more spaciously (about 2-m2 per plant – similar to tobacco) so that female plants can fully express themselves by producing flower buds with a full complement of terpenes, flavanols and cannabidiol oils. 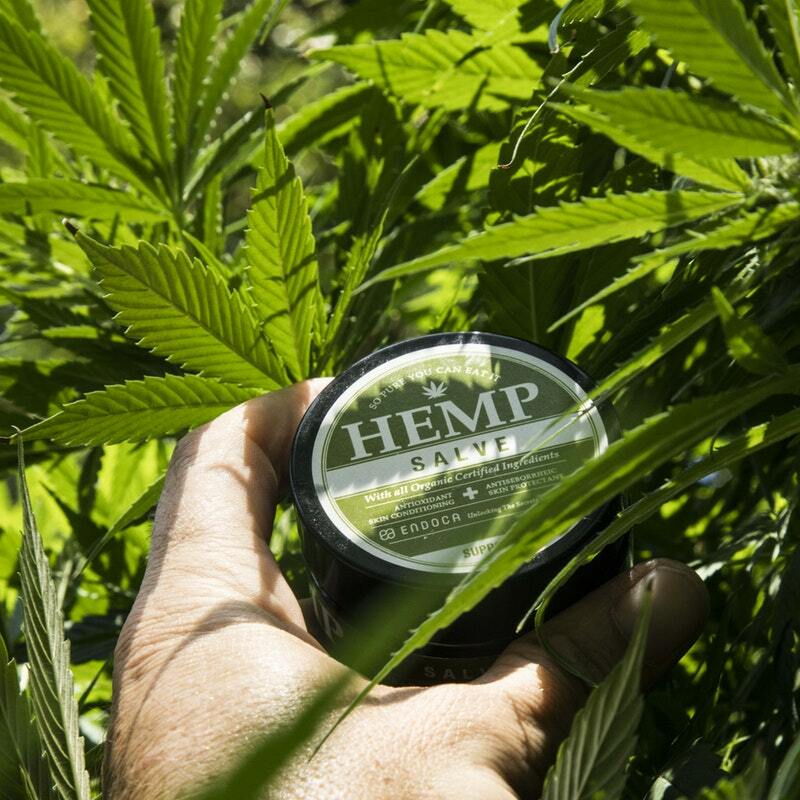 In addition to growing methods, hemp genetics also play a significant role. Hemp is actually the same genus as Cannabis, except that it has been selected to have an arbitrarily low level of the intoxicating THC cannabinoid. Most countries define hemp to have <0.3% THC in the dried leaves and flower buds. (Some countries insist on <0.2%, and others accept <1.0% THC). At these low concentrations of THC, it is nearly impossible to get high from a field of “hemp”. Cannabis cultivars typically have a set CBD/THC ratio. Hemps bred for high CBD yields, might have a 40:1 ratio. While the THC rises to 0.3% as the plant matures, the CBD rises to 12% (0.3 x 40). Since the economics of the CBD extraction process require a minimum of 10% CBD, this is a desirable cultivar. But great care must be taken to harvest the hemp before the quickly rising THC goes above the legal threshold. Some jurisdictions allow a remediation period before destroying a crop if THC inadvertently goes too high. A complicating aspect of breeding any particular hemp cultivar is it being a latitudinal crop (sensitive to changes in day-length). This means that a crop bred for Kentucky (38°N) might not be suitable for Ontario (44°N). Plus, the local soils, climate, and cultural practices readily affect the fine balance between THC and CBD’s. Another factor is the presence of male hemp plants that reduce the quantity of CBD. So breeders “feminize” cultivars by attempting to make them 99% female. In order to extend the planting and harvest periods for more efficient labour management, breeders can also select for “auto-flowering” by breeding out the photoperiod initiation of flowering to favour the weeks of growth before flowering. The next step will be to begin selecting for other beneficial oils such as CBG, CBC, CBN, and more yet to be identified. For all these reasons, local breeding and selections need to be encouraged. Projections for world-wide growth of this new industry range from $2-billion to $22-billion by 2022. As an early step toward this, the 2018 US Farm Bill specifically exempts hemp from the Controlled Substances Act, plus it now permits this new industry to begin working within the banking system. In order for Canada to continue as a world leader of a robust and scalable hemp industry, producers need more flexible and supportive regulations by Health Canada and/or Agriculture and Agri-Food Canada. Permitting hemp producers to extract their own CBD oils would be a good start.